In December 2018, two women were simultaneously elected to the Federal Council for the first time – and for the first time, a woman heads the Federal Department of Defence, Civil Protection and Sport. Yet these elections do not constitute a decisive turning point. The Federal Council elections were exceptional – and yet they were also characterised by normality and consolidation. The elections were exceptional in that, for the first time in history, two women were simultaneously elected to the national government. What is more, this occurred after just one round of voting. The election was marked by normality and consolidation in the sense that no intrigues took place and no surprise candidates were proposed. In addition, nobody challenged the entitlement to seats of the Christian Democrats (CVP) and The Liberals (FDP). In times of unstable government majorities throughout Europe, Switzerland has set an example of calm normality and stability. However, this does not mean that the Federal Council elections of 5 December 2018 did not stir up any dust during the run-up. Following the resignations of Johann Schneider-Ammann (FDP) and Doris Leuthard (CVP) in September (see “Swiss Review” of November 2018), the topic received a great deal of media attention. Karin Keller-Sutter from St. Gallen, member of the Council of States and former Cantonal Councillor, was the FDP’s undisputed top candidate right from the start. The CVP’s initial situation was less clear. It too faced calls for a female candidate from the outset, but male candidates were also put forward. Since it has been customary for some time to present a selection of at least two candidates to the Federal Assembly, even the Liberals with their undisputed top candidate saw themselves forced to put forward a dual candidacy. Hans Wicki, a member of the Council of States from Nidwalden, volunteered. He did not have the slightest chance, but at least was able to enhance his level of recognition. After internal negotiations, the CVP finally decided to present the National Councillor from Valais and former mayor of Brig-Glis, Viola Amherd, and the Cantonal Councillor of Uri, Heidi Z’Graggen as their candidates. For a time the public debate saw the two women running neck-and-neck. Therefore it was a big surprise that Amherd won the first voting round with 148 votes, while Z’Graggen received just 60 votes. There were no major differences between the two candidates, but once again the old rule came into play whereby the Federal Assembly gives preference to individuals it knows from their work in parliament. No one expected any surprises when it came to Keller-Sutter; she was also elected in the first voting round with 154 votes. Her competitor Wicki achieved 56 votes, a respectable result. The Federal Council elections demonstrate a consolidation of normality and stability in three ways. First of all, the right of women to adequate representation in the highest state authority has become universally accepted across party lines. 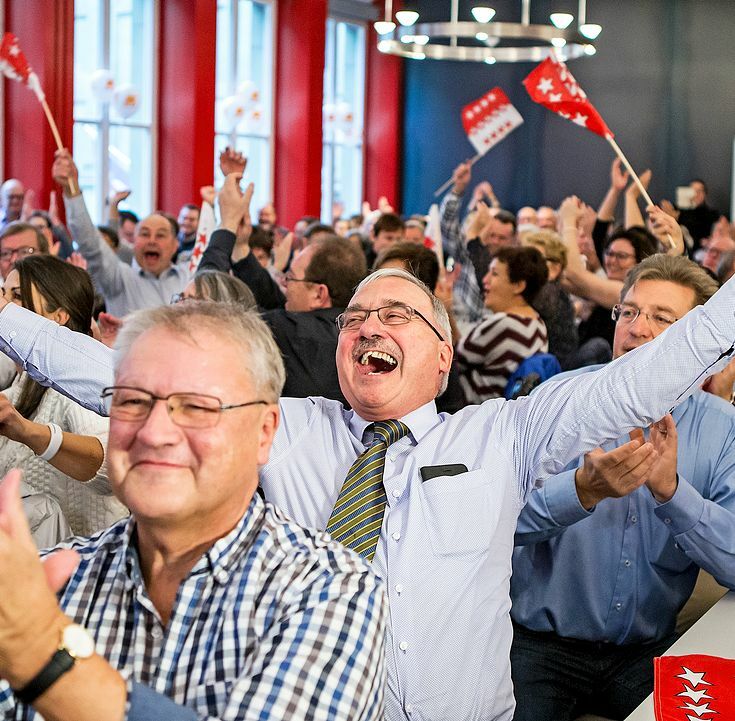 Secondly, peace has returned since the Swiss People’s Party (SVP) has got its two seats in the Federal Council; spiteful debates about the “real” magic formula no longer play a role in Federal Council elections. And thirdly, the two newly elected Federal Councillors scarcely affect the political mechanics within the Council: the key political positions of the conservative-liberal Karin Keller-Sutter hardly differ from those of her predecessor Johann Schneider-Ammann. The same goes for Viola Amherd who, like the outgoing Federal Councillor Doris Leuthard, addresses social-liberal issues as a classic centrist politician. Amherd is considered to be economically liberal, while also socio-politically open, and is seen as belonging to the left wing of the CVP. 5 December was definitely not a landmark election. In fact, this already took place in September 2017. On that occasion, the conservative-liberal FDP politician Ignazio Cassis replaced his resigning party colleague Didier Burkhalter. Burkhalter, who is an open-minded politician, was often able to balance the nominal right-wing majority of the SVP and FDP in the Federal Council with the centre-left side, consisting of two members of the SP and CVP Federal Councillor Leuthard. The SVP regarded Burkhalter as unreliable and he also came under increasing pressure from his own party, which is why his resignation was a logical consequence. The right-wing conservative orientation of the Federal Council thus remains intact. Nevertheless, it cannot be ruled out that a surprising dynamic might develop within the governing body. Both newly elected politicians are considered to be willing to compromise, particularly Karin Keller-Sutter. At least she has no problems working with the other parties: she has established a well-functioning working relationship in the Council of States with the other Council of States member from St. Gallen, the left-leaning Social Democrat Paul Rechsteiner. The distribution of departments did not go as smoothly as the elections. Two rounds of discussions among the seven members of the Federal Council were required, followed by a vote in the newly formed national government. This procedure suggests a rather contentious debate. Viola Amherd (CVP) is the first woman to head the Federal Department of Defence, Civil Protection and Sport (DDPS), while Karin Keller-Sutter (FDP) will be in charge of the Federal Department of Justice and Police (FDJP). Guy Parmelin (SVP), the former head of the DDPS, will join the Federal Department of Economic Affairs, Education and Research (EAER), while Simonetta Sommaruga (SP), the former federal minister of justice, will take over the Federal Department of the Environment, Transport, Energy and Communications (DETEC). With Federal Councillor Alain Berset, the SP is able to keep the weighty Federal Department of Home Affairs and simultaneously take over the diverse infrastructure department DETEC. The EAER, which the SVP will inherit, is the department that plays a key role in European policy, among other things. Together with Ignazio Cassis (FDP), who will remain in charge of foreign affairs, Minister for Economic Affairs Guy Parmelin will play a key role in shaping Switzerland’s position in Europe and the world. Ueli Maurer (SVP) will also stay in charge of the Federal Department of Finance. The CVP, which only has one seat in the Federal Council, will have to cope with losing some of its importance following the departure of Doris Leuthard, the current head of the DETEC, since the Department of Defence is not considered one of the key departments. At least the CVP is able to retain an important function in the highest state authority with Federal Chancellor Walter Thurnherr. FDP politician Karin Keller-Sutter (*1963) from St. Gallen is a translator and conference interpreter. She completed her postgraduate studies and obtained teaching qualifications for vocational secondary schools. She began her political career in Wil, where she worked as a local councillor from 1992 to 2000. 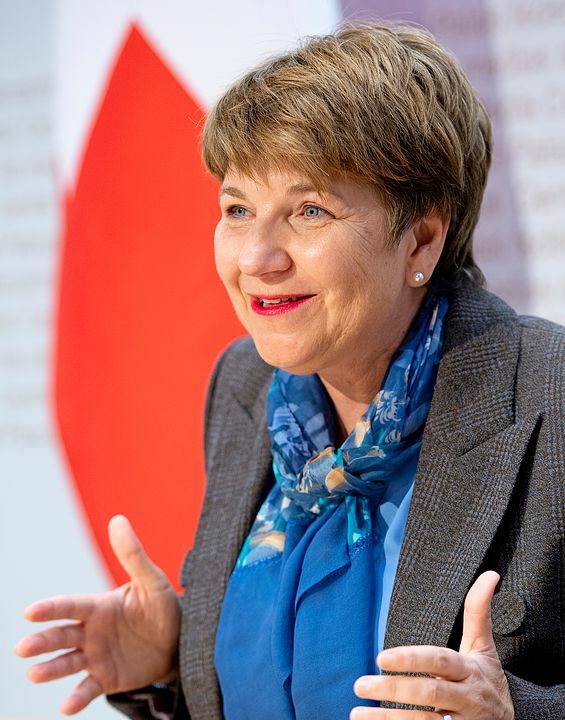 From 1996 to 2000 she was also a member of the Cantonal Council of St. Gallen and between 1997 and 2000 President of the FDP of the Canton of St. Gallen. In 2000, Karin Keller-Sutter was elected to the Cantonal Council and served as head of the Department of Security and Justice. 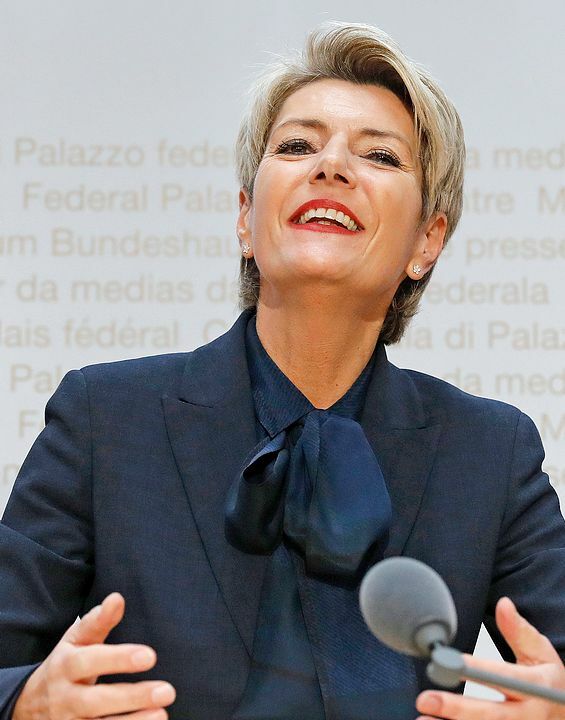 As the President of the Conference of Cantonal Directors of Justice and Police, she entered the national limelight for the first time. She has been a member of the Council of States since 2011 and presided over it in 2017/18. The CVP politician Viola Amherd (*1962) from Valais is a lawyer. Until her election to the Federal Council, she was an independent lawyer and notary in Brig. From 1996 to 2006, she was a part-time judge in the Federal Personnel Appeals Commission. She began her political career in 1993 in the city government of Brig-Glis. From 2001 to 2012, she was Mayor of the city in the upper part of the canton of Valais. In 2005 she joined the National Council to replace Jean-Michel Cina. She was a member of the National Council’s Transport and Telecommunications Committee and the Legal Affairs Committee. She was also a member of the National Council office and Vice-President of the CVP parliamentary group in the Federal Assembly. She was part of the leadership of the upper Valais section of the CVP.